Surrounded by mountains on three sides, Kyoto has some brilliant hiking. There are good hikes right in the city and others just a short train or bus trip away. Here are my five favorite hikes in and near Kyoto. In a hurry? Scroll down to get to the list of hikes. Otherwise, read the following background information. 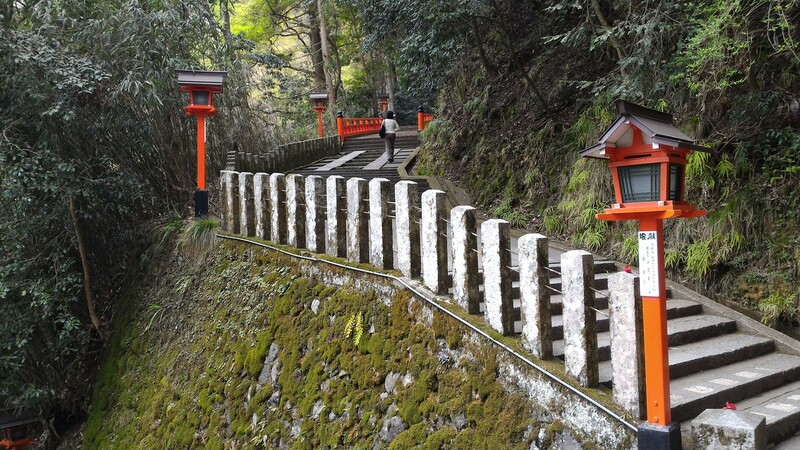 Kyoto is a hiker’s paradise: the mountains around the city are literally latticed with trails. You can do some great hikes right out of the city, just minutes from downtown. So if the concrete is starting to get you down, why not head for the hills? The hikes listed here are all in or near Kyoto. You can do them in any season and you don’t need hiking boots unless there’s snow on the ground or you have weak ankles. Note that it only snows and sticks on the ground a few times a winter in Kyoto itself, while up in the mountains north of the city (in places like Kurama, Takao etc), it snows and sticks several times a year (usually between Dec and Feb). Here are my five favorite Kyoto hikes. For maps and more details on these, pick up a copy of Lonely Planet’s excellent Hiking in Japan guidebook. If you can read Japanese, pick up a copy of Shobunsha’s “Kyoto Kitayama” map, which is part of their superb Yama-to-Kogen series (you’ll find it at Maruzen bookstore in downtown Kyoto). If hiking is going to be a major component of your visit to Kyoto, it’s probably best to stay on the east side of town (Southern Higashiyama or Northern Higashiyama). These neighborhoods are very close to the Higashiyama Mountains. 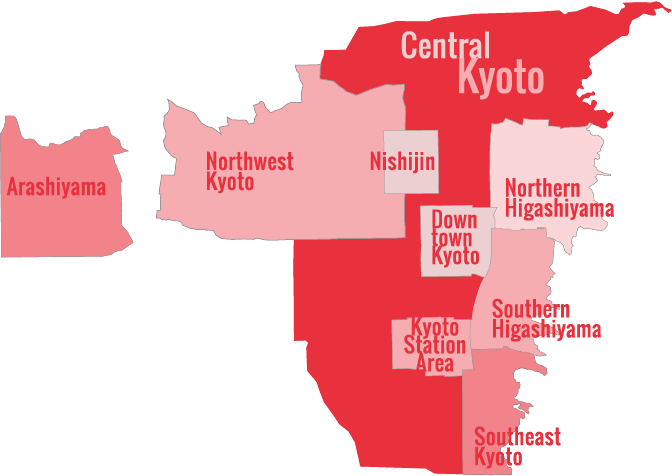 For some great hotels and ryokan in these areas, see our Kyoto Hotels page and our Kyoto Ryokan page. 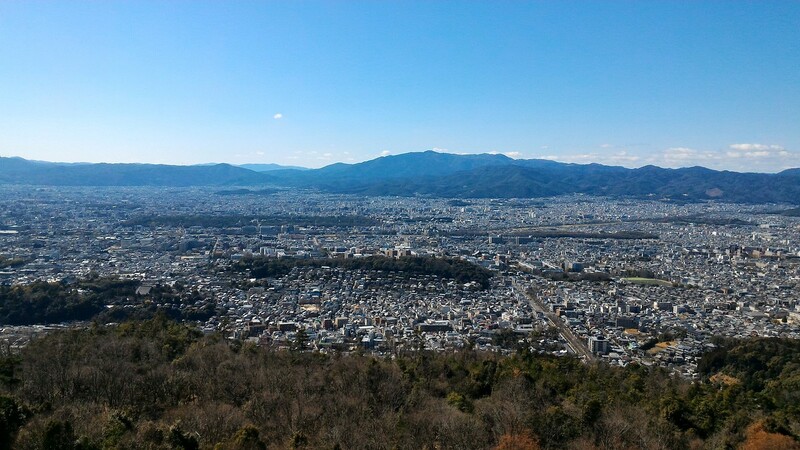 A great, short hike that brings you up to the best viewpoint over Kyoto. Full details: Mt Daimonji-yama Hike from Ginkaku-ji Temple. 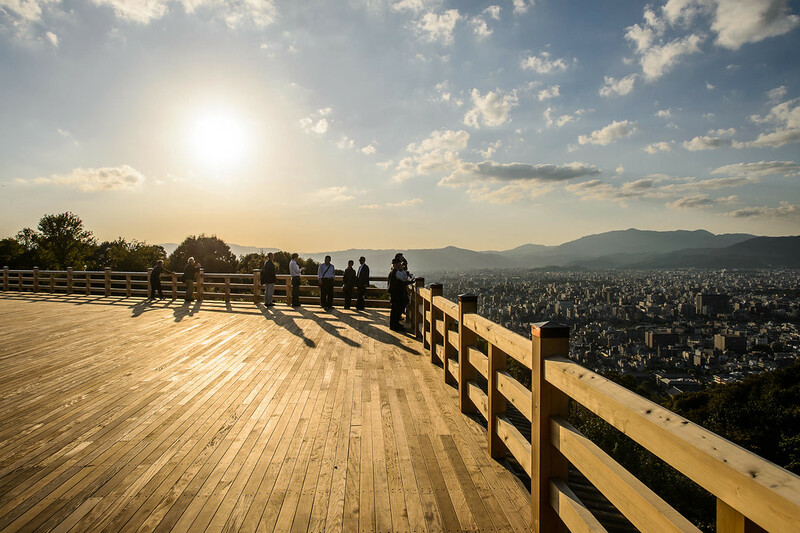 One of the easiest and best hikes in Kyoto City, this brief jaunt takes you up to a viewpoint where you can enjoy eye-popping views over the whole city. 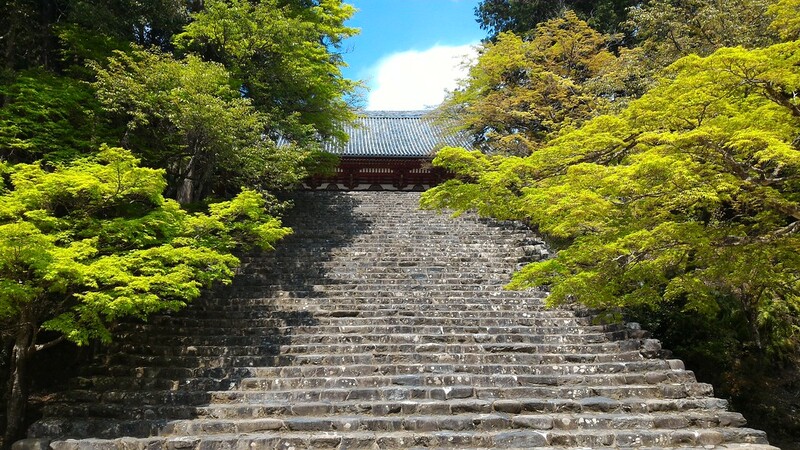 Full details: Shogunzuka and Seiryuden hiking route. The hike to the summit of 233m Mt. Inari-san and the pilgrimage circle around the shrines near the top is one of the most interesting short walks around Kyoto. 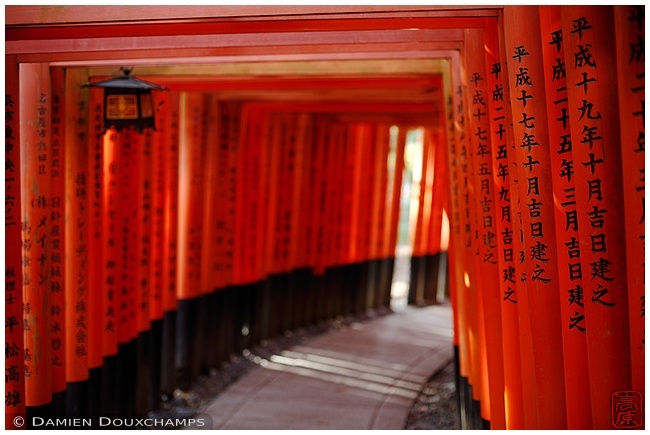 It’s also the best way to see all of Fushima-Inari Taisha Shrine. The best half-day hike near Kyoto, the Kurama to Kibune hike has it all: mountain temples, shrines, plenty of greenery and a quaint village. One of my favorite hikes for when I want something longer than the Kurama hike. 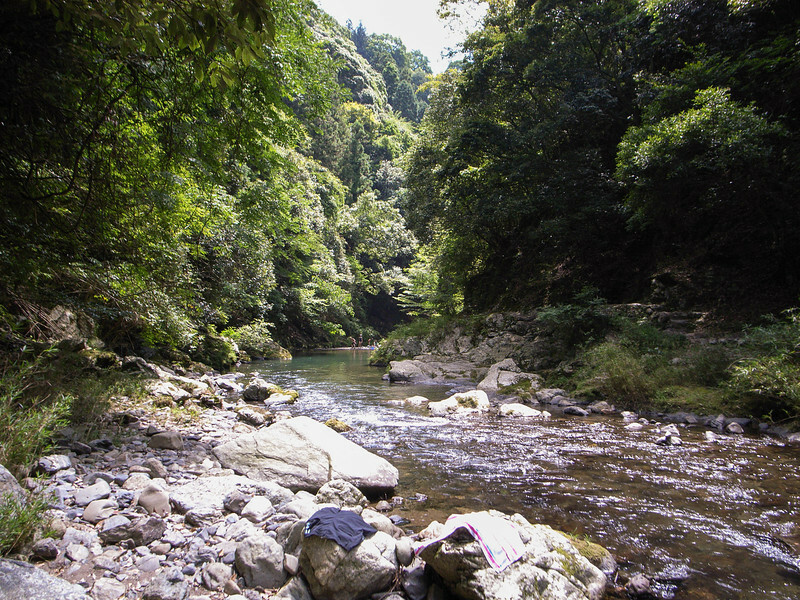 This hike starts with two superb temples in Takao and then follows a beautiful river that’s great for swimming in the hot months. You may also enjoy walking the Nakasendo, the mountain range between Kyoto and Tokyo, which is easily accessible as a daytrip from Kyoto. See my in-depth guide and map to walking the Nakasendo.